Grandma's Kitchen Plaque, Hugs and kisses served daily. New baby gift, grandparent, Nanny sign, kitchen gift. 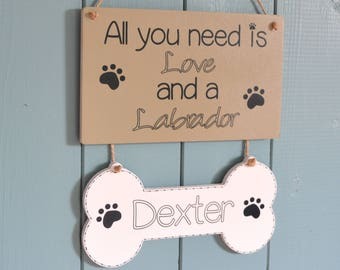 A lovely plaque to hang in Grandma's kitchen, available in any of the 9 colours shown and completed with hand painted dots and heart shaped buttons. 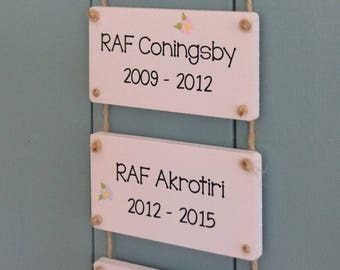 Nanny's Kitchen Plaque, where grandchildren are spoilt. 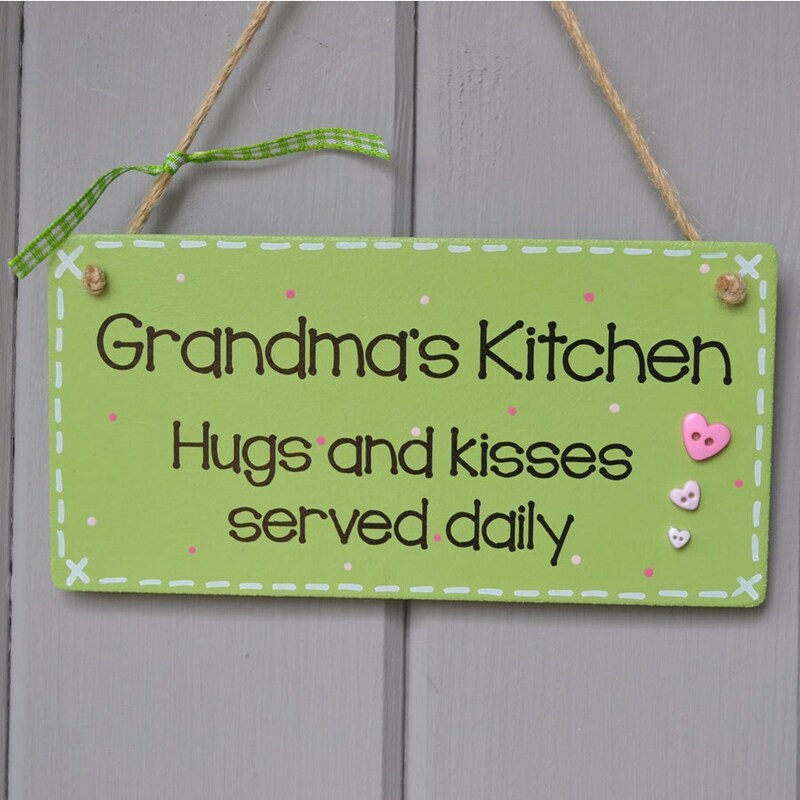 New baby gift, grandparent, Grandma sign, kitchen gift. Grandad's House Plaque, what happens at grandad's stays at grandad's! 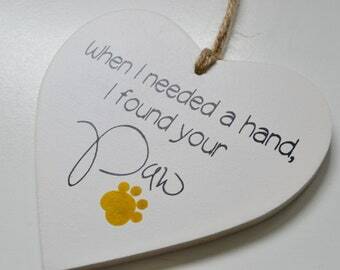 New baby gift, grandparent, Grandad sign, kitchen gift. 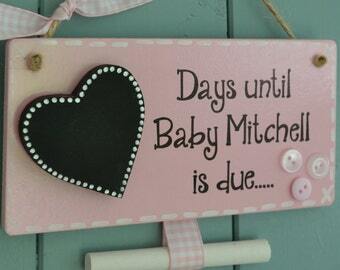 Personalised lilac door plaque with heart embellishment and hand painted flowers. 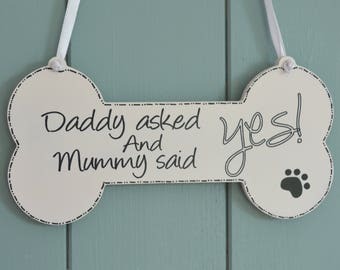 Daddy asked and Mummy said Yes! novelty engagement announcement plaque, bone shaped.